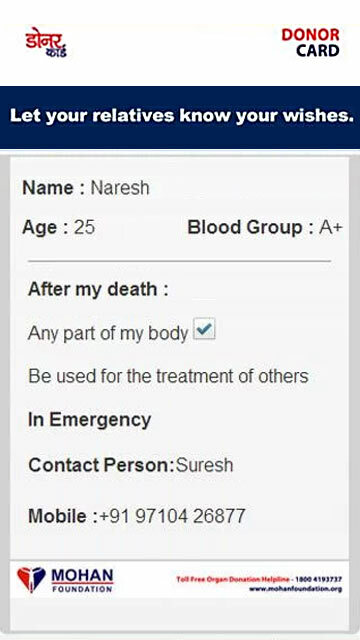 The donor card is an expression of your desire to donate your organs and tissues. Always tell your relatives about your wishes. 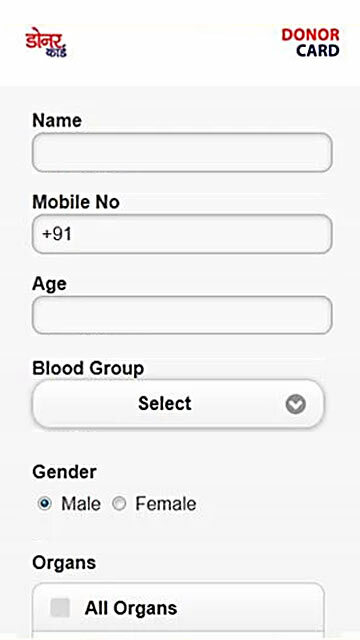 The current application can be downloaded on to your mobile and the Heart Symbol will be displayed on your mobile screen. Cache Memory - The cache memory of the mobile stores some of the information that is fed in the first time, if you clear the memory some details may go missing. 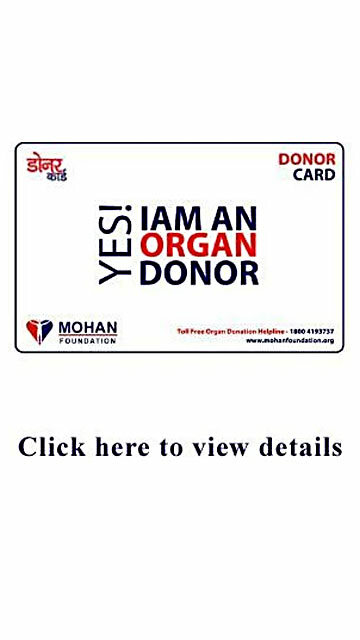 If this occurs key in your mobile number the next time you recall the donor card Connectivity - Requires Internet connectivity.